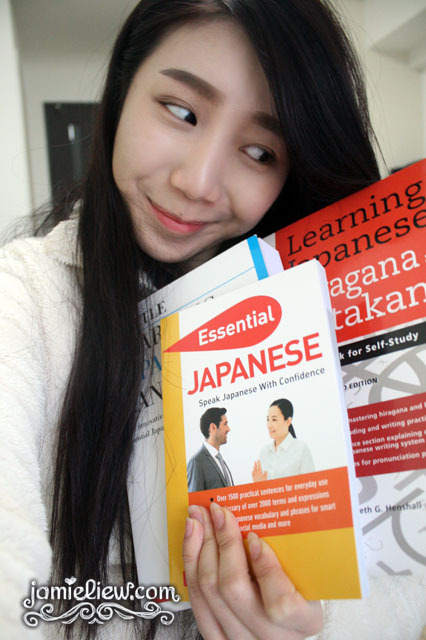 How I learned Korean + Japanese books giveaway! this is probably one of the most frequently asked questions by not only my readers, but friends, acquaintances and people (foreigners) whom I’ve met in Korea especially. I’ve studied Korean for 1 year in Yonsei University and I am of level 6. graduated. in fact, I wasn’t the only one, many people self studied and got into even higher levels. but they’re normally Japanese because they have almost the same grammar and it’s literally much easier for them to learn Korean. as for an English speaker like myself, I found it rather daunting to learn all those sentence structures and also something called.. “particles.” we don’t have it in English so.. they say if you learn one of either language, learning the other will be much easier (Korean and Japanese). and it is proven true by many of my friends who speak them both. back to the main point. so how did I learn Korean? at least up till level 2, I self studied. I went to ICLS in Fahrenheit 88 for a short period of time and did what was equivalent to level 2.5. the classes (my teacher was fabulous.) did help me for speaking but my writing.. I learned most of it before. myself. people get shocked each time I told them I self studied most of my basics. instead of using online websites which had never worked for the longest time (I kept forgetting! ), my mom bought me my first TUTTLE book “Korean for Beginners” and I can say that.. I relied absolutely on that one book to get to where I was before coming to Korea. I was so fond of that book I didn’t want it to go to waste so I gave it to my friend who’s earnestly learning Korean at the moment. the explanations were witty and reading it was so much fun. it felt like as if the book was talking to me. I always get demotivated to learn a language (I bought tonnes of other guidebooks and they were more touristy rather than a book that teaches you how to speak the language) if they aren’t easy to adapt but in the end it all depends on how interested you are. I got most of my books from Borders Pavilion but I am pretty sure they have it at other bookstores too. note that I am not getting paid to say this because I have always told my friends about that book so it is 100% honesty and I am saying it because I really loved that book. I also own a few other TUTTLE books (they are all in Malaysia ATM) which I thought was fun to read even though I am now fluent in Korean. one of them was.. “making out in Korean” they even have a volume 2! it was so funny but.. if you’re below 18 then just forget about it =D. another way of learning Korean is.. after learning most of the particles and a little grammar, you can search for the 가사 (lyrics) of songs and translate them one by one. it was actually pretty effective this way. but still, you need to learn the particles and grammar first. and the way I did it was by reading and writing down things I wanna learn and keep repeating it. I also have a book of words I want to memorize! in my opinion, as long as you have a grasp of the core (grammar, structure and particles), vocabs will fit in perfectly like the missing puzzle piece. so vocabs can wait. like how we say it in Korean, 바탕을 먼저 세워야한다, which means that we should build our core first. if you follow my blog, you’d know that I have an equal love for our neighbouring country, Japan. I love both countries and I’m not going to lie. I always thought that learning another language would be impossible for me until I started learning Korean and it was so fun to learn.. the more I learn, the more I want to know. and Japanese, one of the most complicating language to me (one Kanji can be said in 3 different ways. then there’s the 3 different writing systems. and the crazy amount of Kanji, of course.) was out of the picture for me before. but after being told how learning Japanese would be a bit more of a breeze if I speak Korean, I decided to challenge myself for my 7th/8th language; Japanese. I am lucky enough to have TUTTLE publishing (my favourite publisher. it’s true, I have told my friends long ago when I first started learning Korean! I had always recommended their books.) provide me some additional Japanese books in addition to the ones I already have. anyways, TUTTLE sent me 3 books after I told them I loved their Korean book and that I want to learn Japanese this time and I told them to recommend me a few. my package just came in today and here’s how it looks like! it seems like they got me covered in Hiragana, Katagana, Kanji and speaking! 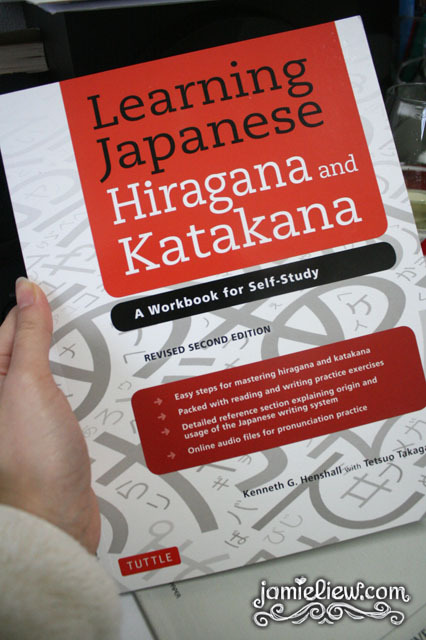 I forgot to mention to them that I’ve already learned most of the basic (mostly hiragana) Japanese but I was actually surprised to see the practice words behind every page of the Katagana and Hiragana book! it’s pretty huge and it seems like.. if you finish all the practices you will definitely remember how to write each word. it isn’t as hard as it looks. really! though there are twice the amount of.. “symbols” to memorize compared to Korean. but on the bright side, Japanese words are much easier to pronounce and they look cute too! 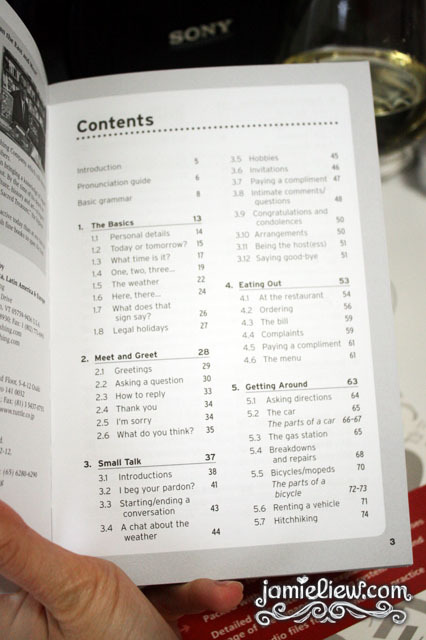 at the end of every chapter, they provide these practices which I found pretty useful because most of the words are easy daily words that you can use. so you get to learn a few new words while practicing how to write them! even after studying Japanese for a semester, I didn’t know most words there T_T. so it does help me brush up on my basics again. I am really bad in writing Japanese. when in uni, they didn’t bother to teach me the strokes and origins of each symbol so I am glad I finally know how to correctly write them. 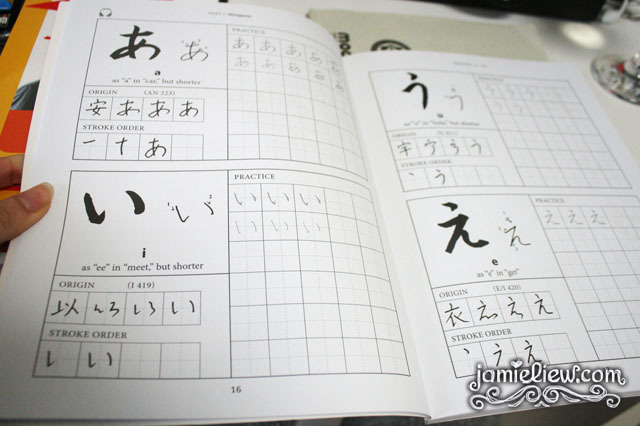 Tuttle’s Kanji book is my absolute favourite. 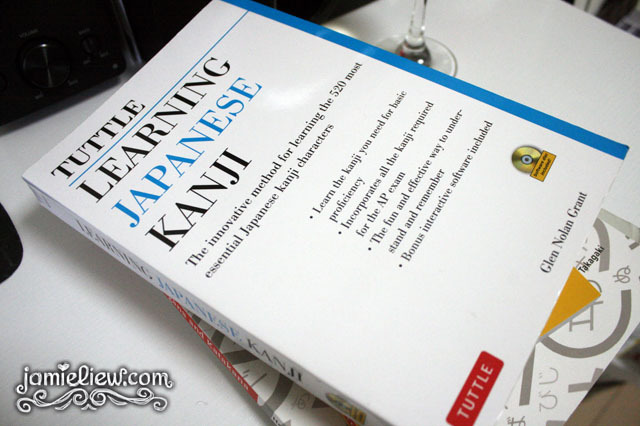 I hate Kanji yes, but they made it so that Kanji’s fun to learn! just like how TUTTLE always are; fun to learn! there are a lot of Kanji. which is why this book is pretty darn thick. around 450 pages. 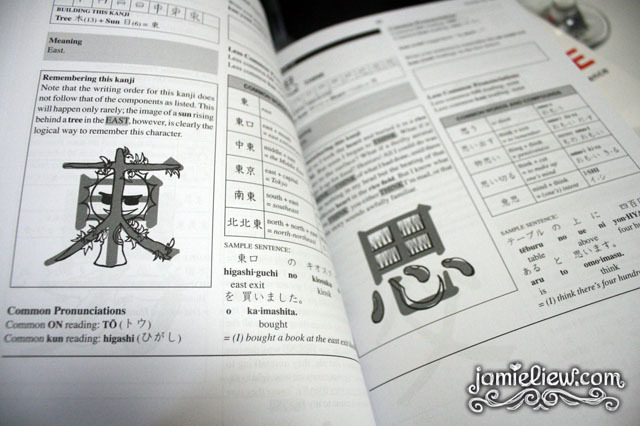 but they explain each kanji in detail and also they provide illustrations on how to memorize them! besides, they have practice sheets at the end of every chapter to refresh your memory after studying the first part :3. definitely my favourite book. and last but not least! 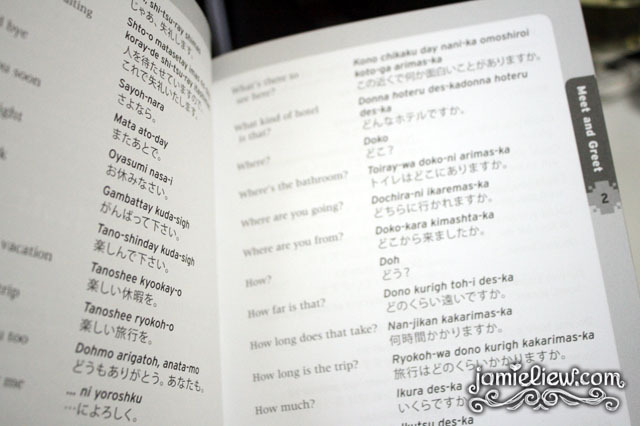 the essential Japanese book for speaking! this one’s pretty normal with all the survival phrases. a book you should carry around when travelling in Japan when you know zero Japanese. it consists of topics from making a conversation to shopping to emergency. this is basically all you need if you’re visiting Japan and is worried about the communication barrier. dear books, ONEGAISHIMASU! I shall use you and speak great Japanese soon! also, for you who are learning Korean, just a few recommendations, their best selling book is Korea the Impossible Country, Elementary Korean, A Capitalist in North Korea and they recently have a book on KPop! okay let’s see how many TUTTLE book I owned before being in contact with them.. I have more.. but I can only remember these few. I found the Essential in Korean Phrase Book good for tourists but if you want to learn Korean I’d recommend Korean for Beginners =). 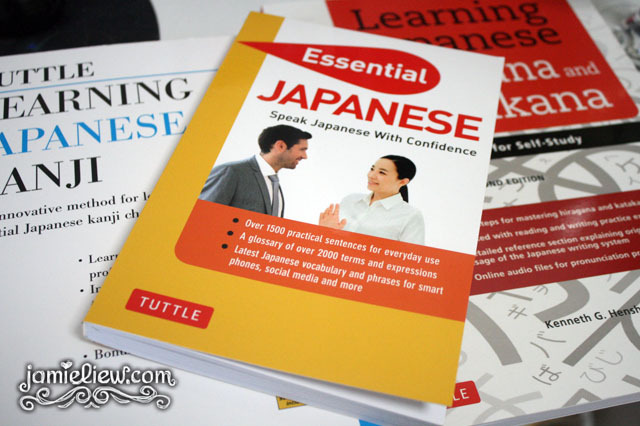 so the best part was, I am giving away a few TUTTLE Japanese books which I have reviewed! I’ll have them send directly to you no matter where in the world you are. I have two sets to give away! The same 3 books that I’ve received! I am sure many of you are interested in learning Japanese right? so lets learn it together! FIRST! leave a comment here telling me what made you want to learn Japanese and where you are from. SECOND! like my facebook page and write me a comment. you can tell me whatever you want to tell me but make sure to state your name to the comment you made here so I can contact you. I will pick winners based on how special your encounter with Japanese is! so be sure to be witty with your words! I also don’t mind if you stay across the other side of the globe. you still have a chance to win it! the giveaway will be announced on January 15th so quick!!! get your brother, sister, and friends to join! [Hokkaido: Noboribetsu] I went to Hell for a day. and I loved it. I am Julian Ng from Malaysia. I am a very big fan of anime, and not really knowing how to read and listen Japanese is quite a tough thing for me. I am also an avid collector of anime merchandise bought directly from Japan, but I had difficulties browsing through the websites because I simply doesn’t know how to read it. Translation with Google is one thing, but sometimes the translation goes way off the original meaning. Hi, I’m Adeline from Malaysia. What made me want to learn Japanese? Their culture. Their long history and traditions. While reading your blog post on Japan, i must say, it’s truly inspiring and it’s one of the factor that motivates me to learn the Japanese language. 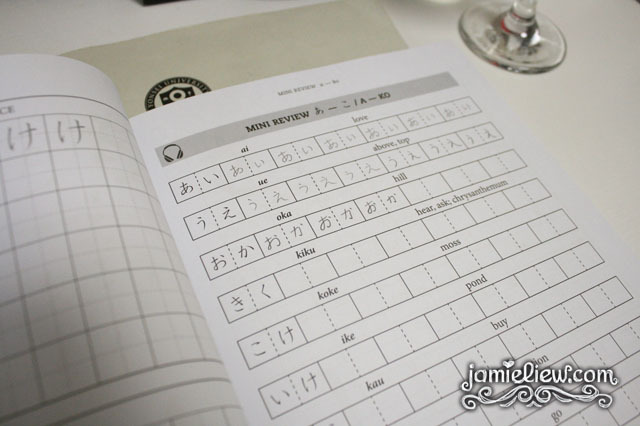 I am a Malaysian and I am also a Japanese language learner. Recently, I watched plenty of K-drama and can’t get over Running Man series. The increase in the popularity of Hallyu had affected my view on Japan and its popularity. When I came across this post, I was too surprised to learn that there are still a lot of people out there with strong affection towards the Land of Rising Sun. I totally agreed with Jamie’s statement mentioned on the natural-born “talent” Korean or Japanese have, as they pick up each other language more quickly compared to other foreigners. Apart from grammar, I think that there are a lot of similarities in their vocabs with slight different in pronunciation. In Japanese language, “particle” is also one of the major struggle faced by certain types of learners. takes a Japanese child their whole youth to learn. IMHO, please don’t get over-obsessed or devastated with these Kanji/vocabs repertoire. Grammar is equally important and it is given more weighting in the beginner level. Choose either one that best suited for your needs. 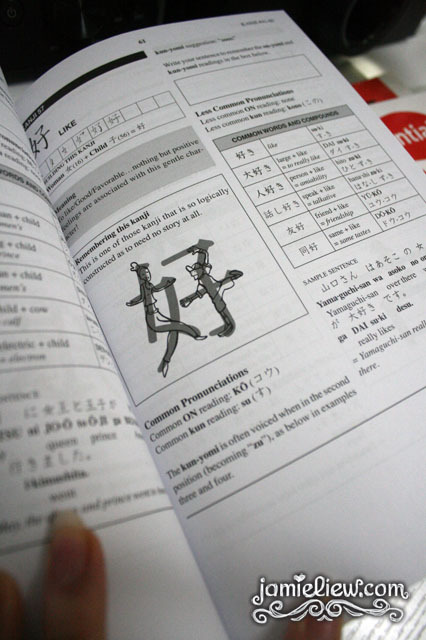 By the time you completed intermediate level, you shouldn’t have any problem to pass JLPT N3 and/or might pass N2. Sorry for sharing such a long article. Please accept my apologize if you find my sharing is useless. Good luck to all Japanese language learners out there. Hi, I am Kien Mei from Malaysia. What made you want to learn Japanese? My sister had learned Japanese during her Uni life while I did not have opportunity to learn it as my English was not good so I cannot take of foreign language and must take English. I like to collect postcard and I had received postcard from someone in Japan that the message write in Japanese. That time, how I wish that I can read it. Luckily that I had found a way to know what it’s mean by using Virtual Japanese keyboard with Google Translate that you can read more in my post of http://interestingcornerofme.blogspot.com/2013/03/learning-japanese.html. My sister and I had plan go to Japan in future so I hope that when the dream to Japan come true so when I travel to Japan, at least I know some simple words than nothing at all. It will make me feel closer to Japan by know some simple words. Thanks for this giveaway! it really a good prizes for learning. My name is Debbie Pham and I come from Australia! I’ve experienced many hardships growing up in Australia (because I’m from an Asian nationality) and I always hated that I just didn’t seem to belong here. My sister and I shared the same feelings for years, and we didn’t even bother learning out mother language (which is Vietnamese) because we wanted to fit in more and just speak English. More years had passed before I hit High School and things got tougher- it was through these times that I realised that I couldn’t change who I am. Also around this time, our school had Japanese exchange students, and I saw how proud of their country they were. They sported their own unique fashion and accessories and were proud to speak their language and teach it to others. I eventually became friends with one of them (I still remember his name up until this day~) and he taught me so much. I felt that he had opened up a new world for me to explore~ From then, I became more proud of who I was and began learning Vietnamese. But for some reason, learning just one language just didn’t cut to for me. I started to learn some Japanese which then lead to learning Korean. My parents who were so happy to see that my sister and I were opening up to Asian culture bought us tickets to South Korea for the first vacation. My sister and I instantly fell in love with the country- it just looked so different to Australia; everything was just so refreshing, and we really loved it there! This year, my little sister is graduating from high school, so I am planning a visit Japan as a surprise gift for her. I think that after all the studying that she’s going to go through, a trip to Japan will be a really meaningful gift for the both of us. It felt that I was only focussing on Korea so I began to learn Japanese again starting from the very bottom (it was was New Year’s resolution that i made 🙂 and it bought back some precious memories that I had nearly forgotten about. I am so happy to be able to see that you also share the same love and interest for Japan and Korea, and this has inspired me so much to learn more! Thank you for sharing what you love about Korean and Japanese culture! I know very basic Japanese by self-studying many years back, due to an アルバイト with a Japanese senbei company during my highschool days. My Japanese co-workers do not know a single bit of English, so back then we communicate using body language. LOL. It was then I bought a pocket dictionary and a simple phrase/guide book to pick up the language. I managed to learn hiragana and katagana my own, but from the pictures you posted I find it interesting as it tells you the origin of the hiragana. I shall stop here as I'm getting a lil' over-chatty here. Haha. Hi Jamie. I’m Nate from Malaysia. By catching up to your blog helps me reach you here with the common interest as topic of yours, would like to learn Japanese. Well I’d start off with a little introduction of myself. I’m addicted to Japanese starting in 2006 as that time Japanese cultures bring me another view of different cultures other than Malaysia. I start to love their language and I find it so interesting, somehow some really like the Mandarin I learned. Well, from the moment I start to learn their language by watch some Japanese anime, listen to their song like ‘First Love’ and many more from Initial D. So that’s when I learned a few beginner Japanese language. Secondly what makes me interested in that is because I learned the humble attitude from people of Japan. I would like to learn more Japanese language so that maybe one day in a coincidence I might be able to bump to a Japanese tourist or anything at least I can help show the enthusiasm by communicate with them. Maybe also when one day I might expand my business to Japan and definitely it’ll help a lot. Thanks for the review, hope the best to get started with the books. Thanks again. I really love Japan and wished to go there sometime, maybe right after I am able to speak Japanese. Besides, I really hoped that by learning japanese language, I can read a lot more manga and anime that was not subbed and aren’t available in Malaysia. I also hoped that I can understand the songs that I always loved to hear, my fav singer: NEWS,Vocaloid, Koda Kumi and Scandal! XD!! This is what I’ve been waiting for. I’m Fatima Leya from Philippines. But I go by the pseudonym above since I like Fiona of shrek. Liked your page since 2013, l guess. Ok this is insane, but I really want those books that’s why I’m doing this hahahaha. I think we have something in common I both love South Korea and Japan. But Japan is the first country that I wanted to visit. If you ask me why? Not because of the cherry blossoms (which is so overrated lols), but to visit the companies that make animes hahaha. I’ve been watching anime since I was little and there I first learn the words ongenki desuka, ikimasho, arigato gozaimasu, doo itashimashita etc . Of course I choose the anime that I watch (I am more of the romcom or love story type) so when Ghost Fighter was shown on TV, I’ve been singing its song on videoke until now, my friends will just laugh at me. And then, a friend of mine gave me her learning Japanese book which I don’t know where it is now, my college friends has been borrowing it from me. My urge to learn Japanese grew strong when I met my Japanese friend. Who sends me letters and postcards with stamps, because I collect stamps, whenever she is out of the country. We exchange letters sometimes and use Japanese phrases. Looking forward to your future posts. Hello Jamie! I’m Aimee Ngan, from the Philippines but also from Hk. If that makes sense. I’m been a long time stalker of your blog, especially your food pictures (I stumbled upon your blog while I was looking up About mise en sense) . I’ve been too shy to comment, but when I saw your recent entry I just can’t help it. I love Japan (especially the food!!! All those glorious food!) , and I was so excited when you started talking about kyoto and osaka in your entries. Actually, I have already started studying Japanese since 2 years ago, I can very slightly read katakana and hiragana and understand a few simple kanji, (helped by my understanding of Chinese characters) but when it’s all clumped up together, my mind goes blank. Lol. So I think if I win, it will help me unclog my brain. And I can finally make heads and tails in translating/ understanding a couple of books (hidamari no kanojo and some books by keigo higashino etc.) I’ve been dying to read and some manga that nobody is translating. Soooo I’ll just sit here and hope you give the books to me. haha! P.S. I’ll be going to Japan in July for two weeks! So the books will be of great help to break those communication barriers! And, any reccomendations? hi jamie, i’m calisc from malaysia>borneo , being your reader long ago, love your blog so much , very simple and informative. Been to korea few times, i still in love with this country, love their weather, culture, and of coz kpop. Still insisting going back korea to visit every year , if times allowed. As for Japan, last year was my first time to travel, as a backpacker, it’s hard to communicate because i only know 5 % of the Japanese words, which include the Chinese characters. i actually have basic Japanese language class before but because of insufficient time of me and limited classes here, i was just able to attend few classes. Tokyo was a the first city i visited last year, very interesting city, and i’m starting loving it. Will be aiming kyoto and osaka next. Hopefully to see more of your sharing. In my opinion, korean language for me is easier than japanese in terms of memorizing words, i can easily read out the words, but if speak in speaking in sentences is kind of hard, because it is all in passive sentence. Lastly thanks for the sharing above, very interesting topic! My first encounter with Japan was probably random anime I saw as a kid but that barely counts. My dad loves martial arts and ever since I was a kid I looked up to him so I wanted to take some classes as well. And my first choice was Karate. Our instructor was really into the culture (of course) so he often taught us about the traditions, we always used Japanese terms during our practice and we learned a little about the history. I was probably like 9 or 10 years old back then and after obtaining a few belts I got interested more and there was Yugioh on TV and I owned so many cards as well haha. Then as a teen I started listening to rock and the real finding that made me look up words in Japanese was JRock. Dir en Grey and The Gazette were what kept me going during weird teenage depression and all haha. But yeah, it was unavoidable and I also watched Naruto, Bleach, Death Note (which I proudly own as well) and a lot of others. Today I kind of like all of it and hopefully I’ll get a chance to leave Europe one day and try traveling to Asia and visit Japan so that’s why these books would be more than helpful to accomplish that life goal of mine as I only can read a few basic kanjis and construct 1 or 2 normal sentences other than hello and introducing myself. It’s a shame that here we can’t take any Japanese classes because literally no school or institution has them so I can only rely on books and internet sites. My name is Nawel and I am from Algeria, I totally love your blog ! it is full of good tips that I learned about your travels and of course I love your style !! ^^ so cute and refreshing ~ Thank you very much ! Thank you so much Jamie 씨 !! And I wish you good luck !!! HIIIIII JAMIE, THIS IS WEI XIANG FROM SINGAPOREEEEEE. I would like to get those books because I wanna be able to speak my THIRD language. I’m only able to speak 2!! That’s really embarassing and pathetic. I went to Japan last year, and it was seriously impossibru to get anything on my own. In restaurants I go to, I have to point to random words and every meal is basically a gamble; I don’t even know what I’m ordering. I remember going all the way to get a Pablo Cheesecake because of your post. I’ve been a huge fan and avid reader of your blog and I am glad you’re hosting this contest! I would one day like to get a Japanese Waifu, so in a sense, my future happiness is dependent on you. This is not just an educational book for me but a book of happiness and life! IT’S A DOOR TO MORE POSSIBILITIES. I’m a solo traveller who is always lost. That’s really sad for a guy. BUT I am not afraid to ask, and this book would equip me with the knowledge to have quality, meaningful conversations with the Japanese. It would also let me find my way to places easier. In a sense, you’re also saving me time. In conclusion, this book is an open door to possibilities, happiness and more time. It’s a life changer, and I want it. I am Zainab from Penang Malaysia. I really want the book it because i have a lot of friends from Japan. They really nice. how i meet them it because i work at airport so it really make me excited…me too self study by watching anime listen to Japanese Enka song as I really love Japanese Enka song. also i have Japanese friends that live in malaysia. They alike my bonds of kizuna.i love them so much but sadly i only know little knowledge in speaking and zero for writing in Japanese. hope to get the book..and learn more from u. anyway please be my friend. I really want the book it because i have a lot of friends from Japan. They really nice. how i meet them it because i work at airport so it really make me excited…me too self study by watching anime listen to Japanese Enka song as I really love Japanese Enka song. also i have Japanese friends that live in malaysia. They alike my bonds of kizuna.i love them so much but sadly i only know little knowledge in speaking and zero for writing in Japanese. hope to get the book..and learn more from u. Please be my friend. LOVE U SO MUCH JAMIE. I was into Jpop and Jdrama before that’s why I bought a tiny and cheap book with few Japanese vocabulary years ago. Unfortunately, I couldn’t find it before our trip so I was relying solely on my memory and friends who are taking Japanese lessons. My 9 year-old cousin who went with us on the trip has “Benjo” as his nickname so every time we call him, everyone was looking at us with confused faces. I explained to my family that “benjo” in Japanese is “toilet”. And upon arrival in Osaka, we roam around the city for an hour and a half since we we’re lost. Luckily, I decided to ask an older lady we saw in Sinsekai if she knows our guesthouse address. She didn’t hesitate to accompany us for the final 30 minutes and even went to a Koban until we found our guesthouse. It was the funniest but the most memorable trip I took with my family. The Japanese are by far the kindest and most respectful people I’ve met but it is difficult to converse with them fluently. The books would really help me a lot in improving my communication abilities in Japanese. I am Ven from Penang, Malaysia.I don’t think that my english is good enough to explain my reason of wanting to get the Japanese learning books but I will try. 10 years ago I was lucky enough to join a student-exchange programme to Japan. Before I leave, my classmates gave me a little booklet. It is a compilation booklet full of their wishes and things they like to tell me. Of course, most of it is written in Japanese. Now that I think of it, I really wanna learn Japanese to really understand what they are writing to me. I could show you the booklet but I don’t think that I can post the photo anywhere here. So this is my story and reason to get the Japanese learning book. Thank you everybody for your participation! appreciated it! hope I can do more giveaways! =). Hi Jamie! I am wondering if you this giveaway is still ongoing? Just trying my luck. 🙂 I am currently studying Nihongo and I am loving every second of it. Our teacher’s reference book is Tuttle’s Learning Japanese Kanji but it’s quite pricey here in my country and not to mention, very limited. I just hope I can have a copy of this book too. 🙂 Thank you! Hi! Im interested to study in Korea after i graduate from high school. I saw that you state that it is possible for me to get up to level6 in a year if I study korean in SKKU, then should i learn korean in SKKU or Yonsei KLI? Yonsei KLI seems good but the price is a bit uhh so Im trying to choose a better school with lower price!